You’ll forget all about work, worries and traffic woes once you get within sight and sound of the sea. 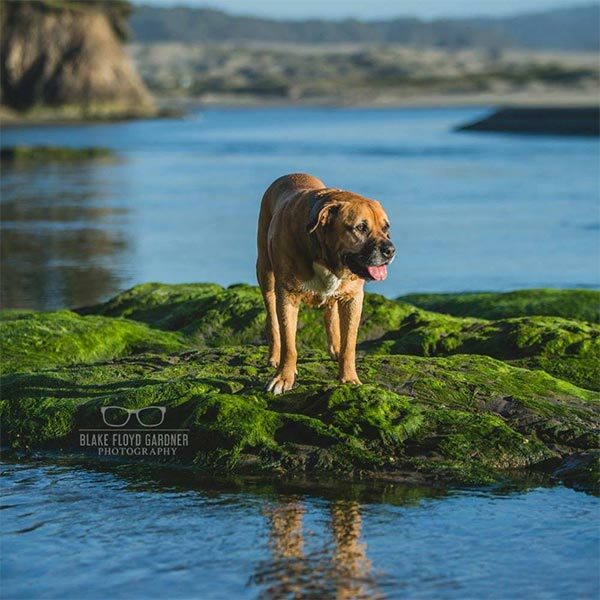 And in Sonoma County, there are dozens of places where you and your pup can splash to your hearts’ content and then bed down to the ceaseless whooshing of the restless Pacific. At the far north end of the county, near Sea Ranch, Sonoma County Regional Parks manages six public-access trails starting at Highway 1 parking areas and crossing bluff-top meadows and forests to end up at the rugged shore. Longest is the Bluff Top Trail, which runs 3 miles along the headlands from Walk On Beach to Gualala Point Regional Park. Staircases from each trail lead down to beaches with sandy coves, tide pools and dramatic rock formations. To play by the rules, your dog will need to be leashed and licensed. At Sea Ranch, an innovative development dating from the 1960s, you can cuddle up in a pet-friendly room at Sea Ranch Lodge or seek out a dog-friendly vacation rental within walking distance of the shore. A short drive south brings you to Jenner, where the Russian River rushes into the Pacific Ocean. 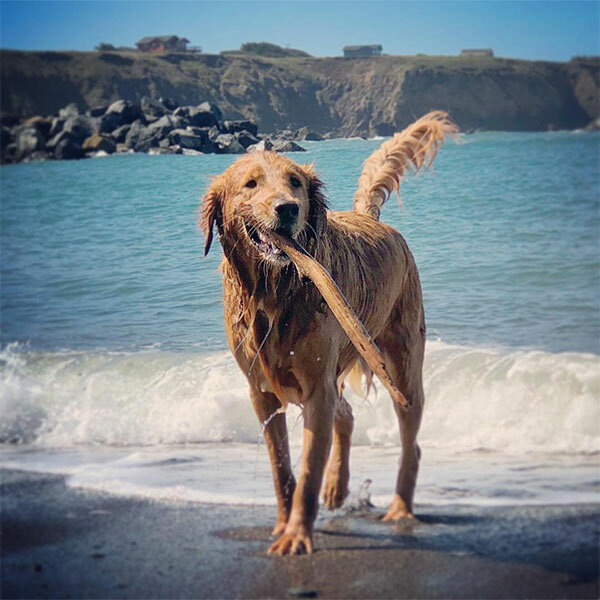 Dog-friendly choices here include Jenner Inn and Timber Cove Inn, each providing a warm and welcoming seaside atmosphere but accepting small dogs only. Be sure to visit Blind Beach at Sonoma Coast State Park, where a narrow trail takes you directly from Highway 1 to the water. Continuing south, you’ll come to 17 miles of beaches extending from the Vista Trail 4 miles north of Jenner all the way to Bodega Head. More than a dozen access points will take you to named strands (including Carmet, Portuguese Beach, Marshall Gulch and Furlong Gulch) separated by bluffs and headlands. (As tempting as it is to cut your dog loose, please remember that she legally must remain on a leash.) Doran Regional Park, a sandy, 120-acre spit that forms the northern border of Bodega Bay, is a favorite destination with a 2-mile beach where leashed dogs are welcome to accompany you on an invigorating walk. Once in the town of Bodega Bay, you can check into an oasis such as Bodega Coast Inn & Suites, Sonoma Coast Villa & Spa, Bay Hill Mansion B&B or Bodega Bay RV Park. Prepare to get sandy, as you’ll likely be exploring nearby beaches and coastal trails.